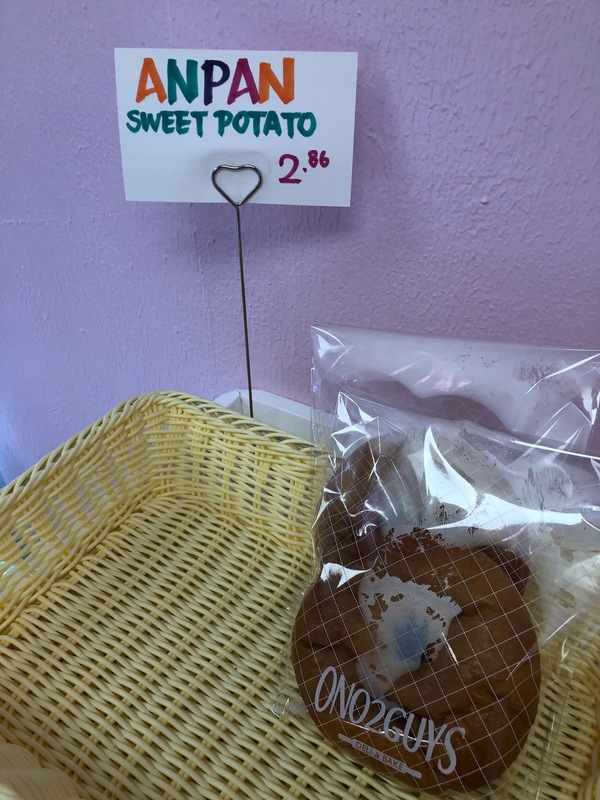 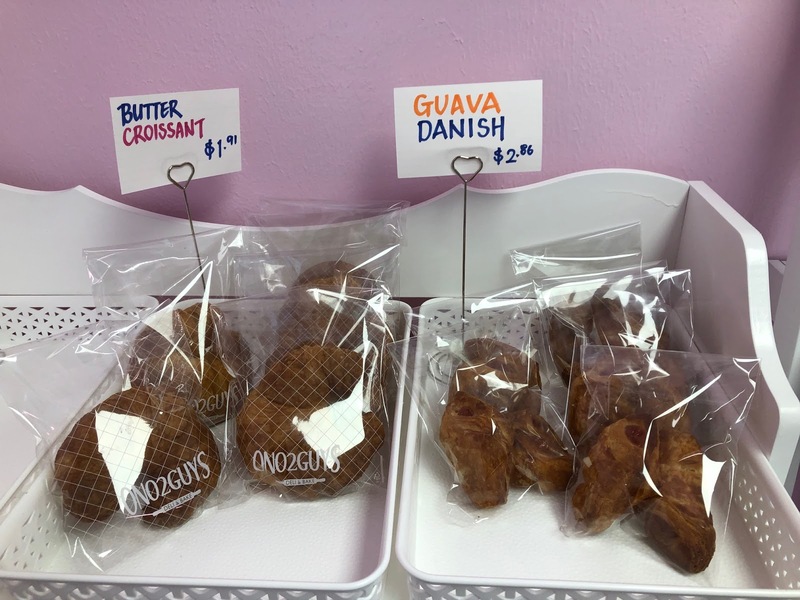 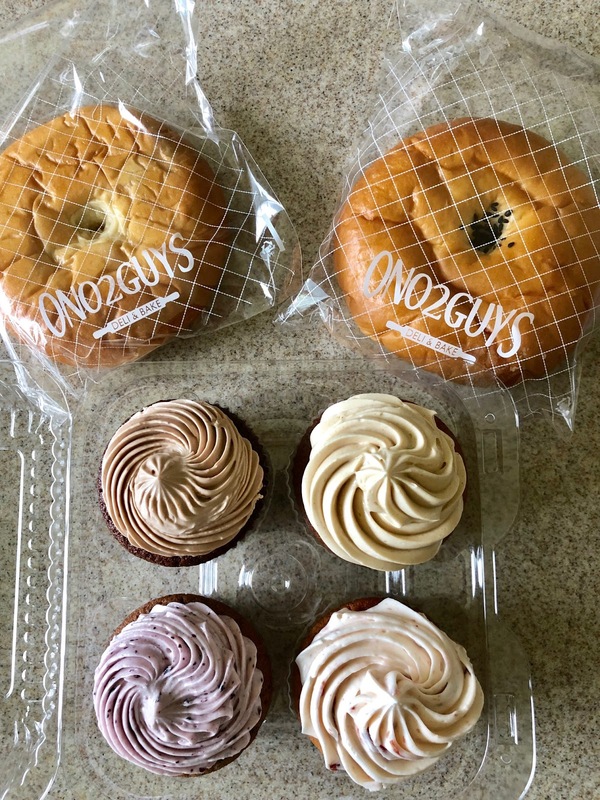 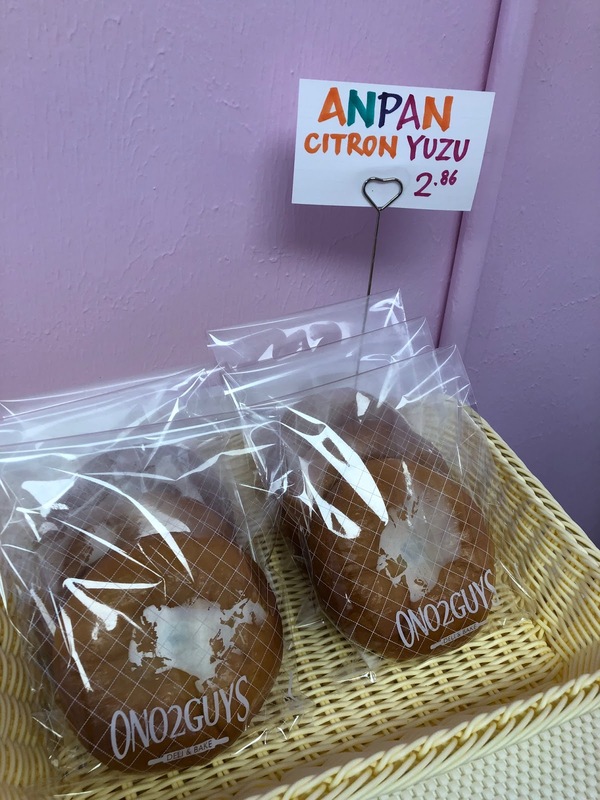 There's a new bakery in Kaneohe called ONO2GUYS, and it didn't take me long to make my way down here once I found out they were open. 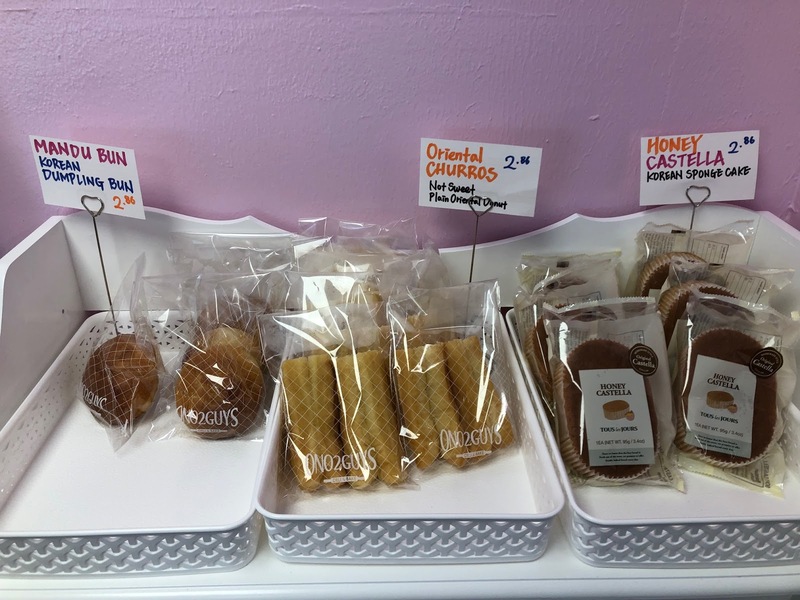 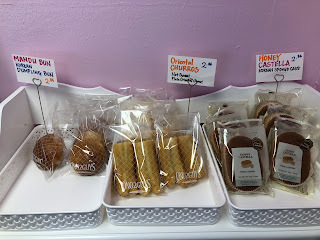 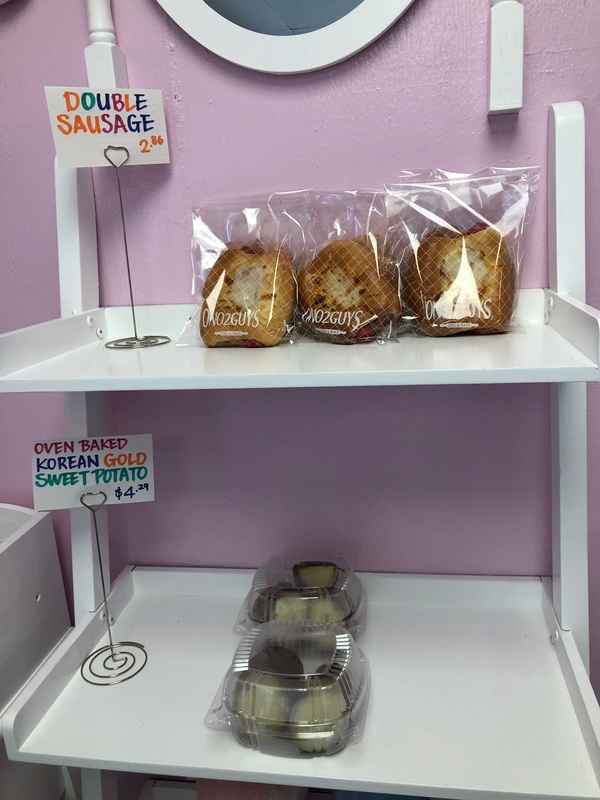 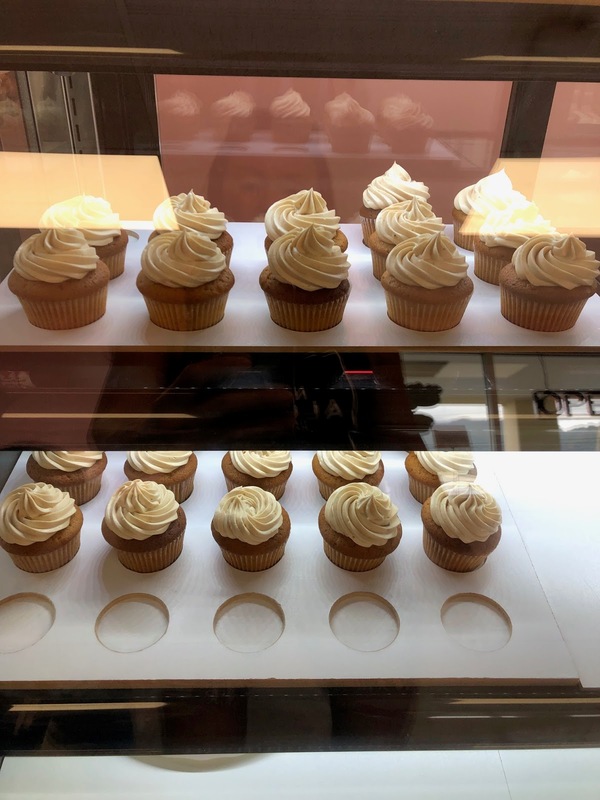 They carry an assortment of Korean-inspired pastries, nicely packaged individually for easy grab-n-go. 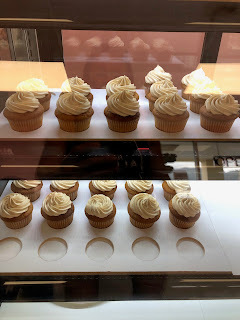 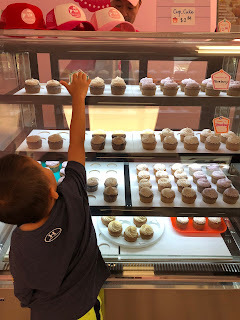 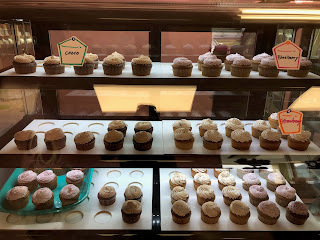 My main reason for coming here is to try their cupcakes - my weakness (my twin sons' weakness too!). 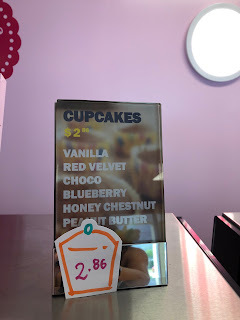 It was about 2 pm on a Sunday afternoon and they only had four flavors left (chocolate, blueberry, strawberry, and peanut butter), so I ordered one of each. 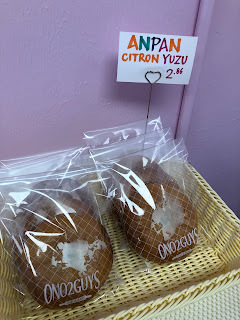 I will need to return to try their crazy loaf, which was sold out on this particular visit. I hear the Korean cheesecake is delicious too!